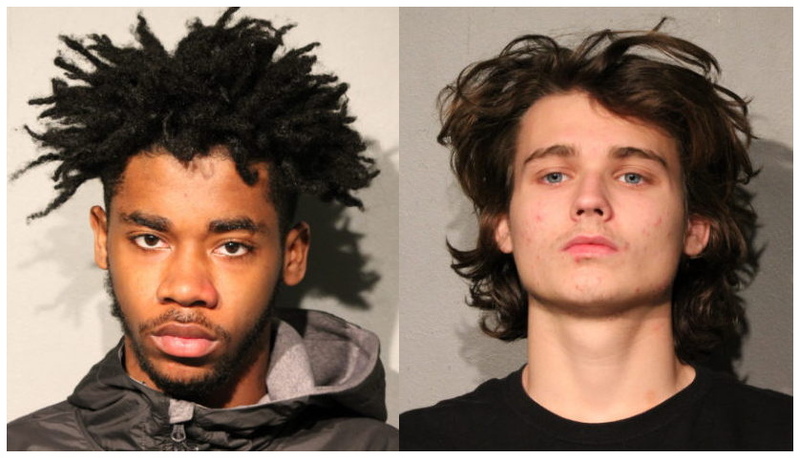 One of Boystown’s biggest headaches of the past year is heading to prison for a little while after he and a companion pleaded guilty to attempted robbery. 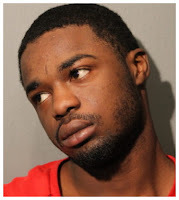 Donovan Mylander had racked up a series of arrests in Boystown since last summer before he and 19-year-old Donovan Daffin were arrested for trying to rob a man in the 500 block of North State Street at Christmastime. Mylander and Daffin have now each pleaded guilty to attempted robbery and been sentenced to two-years by Judge William O’Brien. Authorities said Mylander, 20, and Daffin approached their would-be victim from behind in the 500 block of North State Street around 3:30 p.m. on December 20. Daffin struck the victim on his back, causing the victim to turn around, police said. The man found Daffin in a fighting stance, fists in the air: “I’ll f—k you up,” Daffin reportedly threatened as Mylander reached into the victim’s pockets. But the victim grabbed on to his iPhone to keep Mylander from taking it. Despite the threats, the man backed away, causing Mylander and Daffin to run off, “lunging and pushing others” as they ran toward the Chicago River, police said. Cops caught up with the duo about 15 minutes later on the State Street Bridge. Last Summer, Mylander was arrested at the Center on Halsted, 3656 North Halsted, during the annual Pride Fest celebration. Witnesses told police that Mylander pushed an employee and refused to leave the premises. He was arrested and charged. The Center did not send anyone to Mylander’s court date, forcing the state to drop charges. He was arrested again in September for shoplifting at the Boystown Jewel-Osco store, which also failed to show up in court. • Terry Brewer, 20, is one of three men charged after a woman was robbed at gunpoint in the Loop on February 27th. All three of the accused were on parole or probation for charges ranging from robbery to possessing a sawed-off shotgun to unlawful vehicular invasion at the time of the incident. Brewer has pleaded guilty to felony theft in exchange for a three-year sentence from Judge Ursula Walowski. He will receive credit for 98 days time served. Class X felony robbery cases continue against his two co-defendants. During the robbery, one of the offenders opened the passenger side door of a woman’s car near LaSalle and Wacker and demanded her valuables while holding her at gunpoint, police said in a statement. The robbers ran away with the woman’s necklace and phone, but police soon spotted the men running on the Riverwalk, and a foot pursuit ensued. The three suspects were taken into custody nearby. At the time of the robbery, Brewer was on probation for forcing his way into a man’s Kia in the Loop on July 6, 2016. The 2016 Kia invasion took place in the 100 block of East Lower Wacker Drive—almost precisely the same spot where he was arrested in the latest crime. McMiller (left) and Perry inset on a map showing the approximate location of the crime. • Two men who blamed each other after cops stopped them in connection with a West Ridge robbery on May 18 have reached quick resolutions of their cases. Isaiah McMiller and Joseph Perry, both 18, pleaded guilty in exchange for 18-months of court supervision and six days of community service. Judge Marvin Luckman approved the deal. A 54-year-old Aurora man told police that Perry and McMiller were in a group of men that surrounded him in the 2000 block of West Devon, pushed him, and took his phone out of his shirt pocket before running away, police said. Perry and McMiller were arrested at their nearby homes. Police said that their body cameras were rolling as McMiller told them that “Joseph” had the victim’s phone. Other officers who stopped Perry reported that he told them something to the effect of “I did not take the phone, but I was there….Isaiah took it and gave it to me afterward.” Perry was in possession of the victim’s phone, police said. 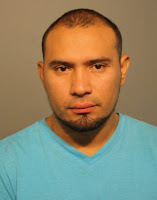 • Judge Luckman also approved a deal for Oscar Echeverria, the 35-year-old accused of battering and robbing a ride-hail driver in North Center on May 21. In exchange for a guilty plea, Echeverria received two-years court supervision and six-days of community service from Luckman. According to a police spokesman, Echeverria’s Uber driver “felt uncomfortable” and asked him to get out of the car in the 2100 block of West Addison around 5 a.m. on May 21. Echeverria became irate, punched the driver in the face, then stole the victim’s phone and other items before running away, police said. Responding officers tracked the driver’s phone to find Escheverria on a nearby CTA bus. Echeverria, 35, was charged with one felony count of robbery.